Economics students aim to tear up free-market syllabus | Business | The Guardian. Few mainstream economists predicted the global financial crash of 2008 and academics have been accused of acting as cheerleaders for the often labyrinthine financial models behind the crisis. Now a growing band of university students are plotting a quiet revolution against orthodox free-market teaching, arguing that alternative ways of thinking have been pushed to the margins. 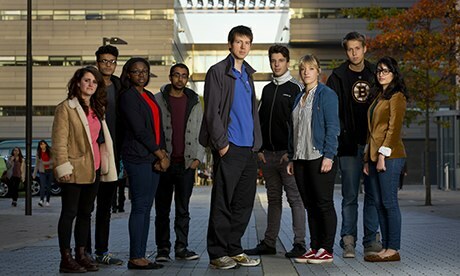 Economics undergraduates at the University of Manchester have formed the Post-Crash Economics Society, which they hope will be copied by universities across the country. The organisers criticise university courses for doing little to explain why economists failed to warn about the global financial crisis and for having too heavy a focus on training students for City jobs. A growing number of top economists, such as Ha-Joon Chang, who teaches economics at Cambridge University, are backing the students. Joe Earle, a spokesman for the Post-Crash Economics Society and a final-year undergraduate, said academic departments were “ignoring the crisis” and that, by neglecting global developments and critics of the free market such as Keynes and Marx, the study of economics was “in danger of losing its broader relevance”. In June a network of young economics students, thinkers and writers set up Rethinking Economics, a campaign group to challenge what they say is the predominant narrative in the subject. 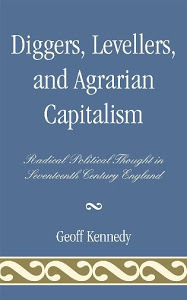 Earle said students across Britain were being taught neoclassical economics “as if it was the only theory”. In the decade before the 2008 crash, many economists dismissed warnings that property and stock markets were overvalued. They argued that markets were correctly pricing shares, property and exotic derivatives in line with economic models of behaviour. It was only when the US sub-prime mortgage market unravelled that banks realised a collective failure to spot the bubble had wrecked their finances. In his 2010 documentary Inside Job, Charles Ferguson highlighted how US academics had produced hundreds of reports in support of the types of high-risk trading and debt-fuelled consumption that triggered the crash. Adam Posen, head of the Washington-based thinktank the Peterson Institute, said universities ignore empirical evidence that contradicts mainstream theories in favour of “overly technical nonsense”. City economists attacked Joseph Stiglitz, the former World Bank chief economist, and Olivier Blanchard, the current International Monetary Fund chief economist, when they criticised western governments for cutting investment in the wake of the crash. A Manchester University spokeman said that, as at other university courses around the world, economics teaching at Manchester “focuses on mainstream approaches, reflecting the current state of the discipline”. He added: “It is also important for students’ career prospects that they have an effective grounding in the core elements of the subject.